Get custom recommendations for boosting conversions with our landing page grader tool. Learn what to fix in minutes. 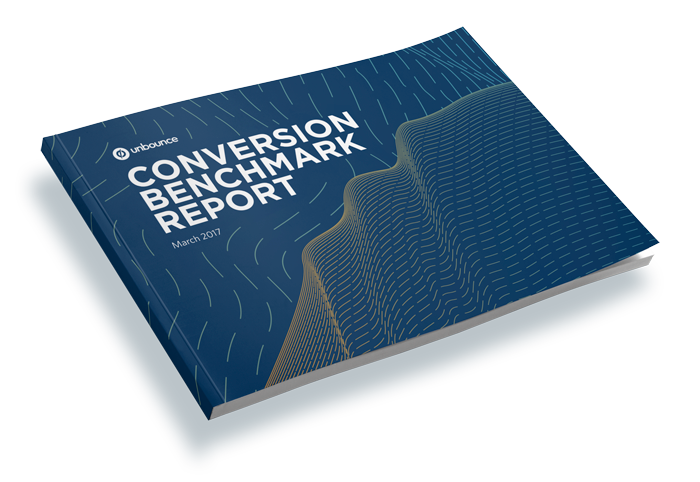 When Unbounce published our Conversion Benchmark Report, we wanted to empower marketers like us to take a more data-driven approach to optimizing their landing pages. The report documents our findings after using machine learning to analyze the behavior of 74,551,421 visitors to 64,284 lead generation landing pages belonging to 10 of our most popular customer industries. For each industry, the report summarizes average (and good and bad) conversion rates, and how certain variables — such as reading ease, page length and emotion — impact how likely a prospect is to convert. A page from the Unbounce Conversion Benchmark Report. Our hope was that these findings would help marketers make data-informed decisions when writing copy for their landing pages. But at Unbounce, we also like to eat our own dog food. So when our design team was recently wireframing new landing page templates for the Unbounce builder, they looked to the report (and to commonalities between the 10 highest converting customer landing pages in each industry) to inform design decisions. 10 brand spankin’ new landing page templates for 10 of our most popular customer industries: Travel, Real Estate, Business Consulting, Business Services, Credit & Lending, Health, Higher Education, Home Improvement, Legal and Vocational Studies & Job Training. Grab the report (which includes full benchmarks and copy recommendations for your industry) below, or keep reading for a sneak peek at five of our 10 new templates (check them all out here). By entering your email you expressly consent to receive other resources to help you improve your conversion rates. The Unbounce Conversion Benchmark Report uses an Emotion Lexicon and Machine Learning to determine whether words associated with eight basic emotions (anger, anticipation, disgust, fear, joy, sadness, surprise and trust) affect overall conversion rates. In the Business Services industry, Unbounce data scientists found that trust is an important emotion to convey. In fact, if more than 8% of your language implies trust, you could see some improvement in your conversion rates. Be as concise as you can. Overall, Unbounce data scientists found that pages with fewer than 100 words convert 50% better than those with more than 500 words. This chart from the Unbounce Conversion Benchmark Report shows how word count is related to conversion rates for the Business Services industry. 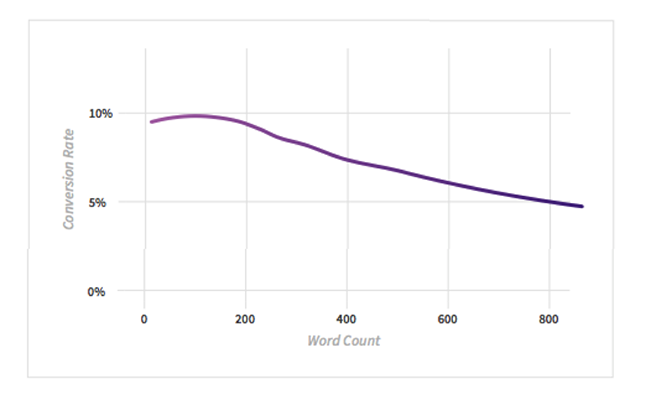 On the x-axis we have word count — on the y-axis, conversion rate. 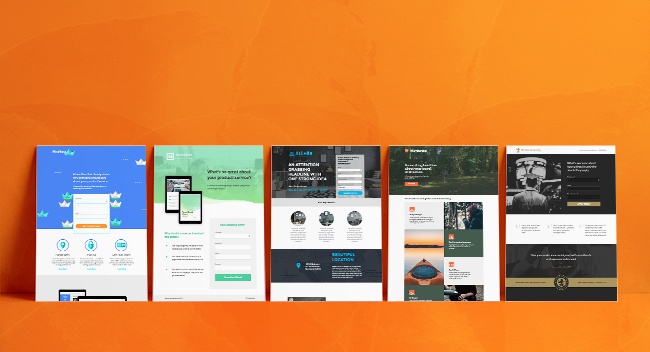 Get the Harbor Template (and a trial of Unbounce) here. Already a customer? Log in and get started with the template immediately. You’ll notice the landing page template below that Unbounce designers created is quite short. That’s because Unbounce data scientists found that every additional 250 words on a Business Consulting industry landing page correlates with 20% lower conversion rates. 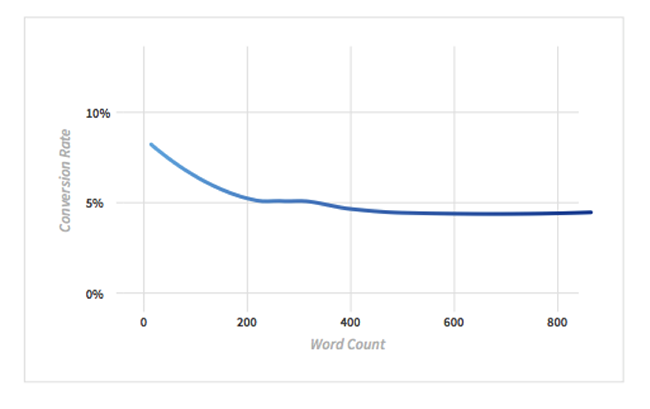 This chart from the Unbounce Conversion Benchmark Report shows how word count is related to conversion rates for the Business Consulting industry. On the x-axis we have word count — on the y-axis, conversion rate. One more thing to keep in mind when writing copy for this template? Using any words that might evoke feelings of disgust in your audience (words like “blame,” “cheat,” “collapse,” “disaster,” and “offend”) could be hurting your conversion rates. This chart from the Unbounce Conversion Benchmark Report shows how the percentage of copy that evokes disgust is related to conversion rates for the Business consulting industry. 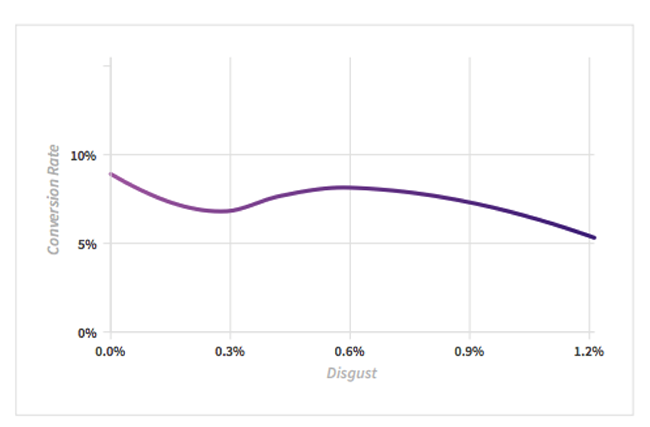 On the x-axis we have the percentage of copy that uses words related to disgust — on the y-axis, conversion rate. Grab the Marconato Consulting Template here. Already a customer? Log in and get started with the template immediately. When Unbounce designers analyzed the 10 highest converting customer landing pages in the Real Estate industry, they found (unsurprisingly) that the pages were chock full of imagery: beautiful hero shots of the interior and exterior of properties, maps, full-width photography backgrounds and floor plans. Unbounce data scientists saw a slight negative trend for pages in the Real Estate industry using more fear-inducing terms. This chart from the Unbounce Conversion Benchmark Report shows how the percentage of copy that evokes fear is related to conversion rates for the Real Estate industry. 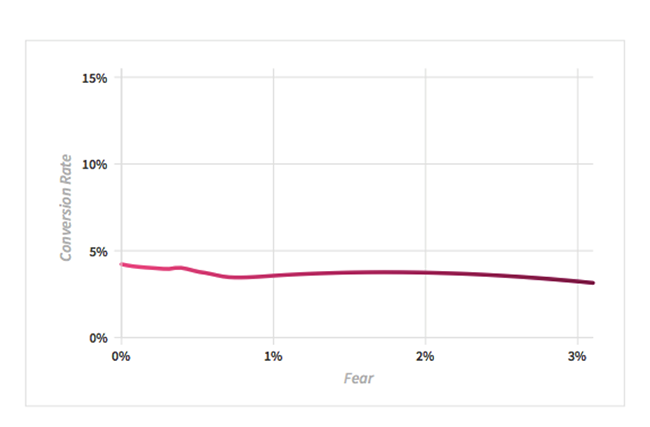 On the x-axis we have the percentage of copy that uses words related to fear — on the y-axis, conversion rate. If more than half a percent of your copy evokes feelings of fear, you could be hurting your conversion rates. Grab the ALLHËR Template here. Already a customer? Log in and get started with the template immediately. The emphasis on imagery in this template isn’t only a design choice; Unbounce data scientists found that in the Travel industry, landing pages with clear and concise language tend to perform best. The large images complement the minimal copy boxes, which encourage you to explain what you are offering as simply as possible. When writing copy for the Travel industry, keep language positive. 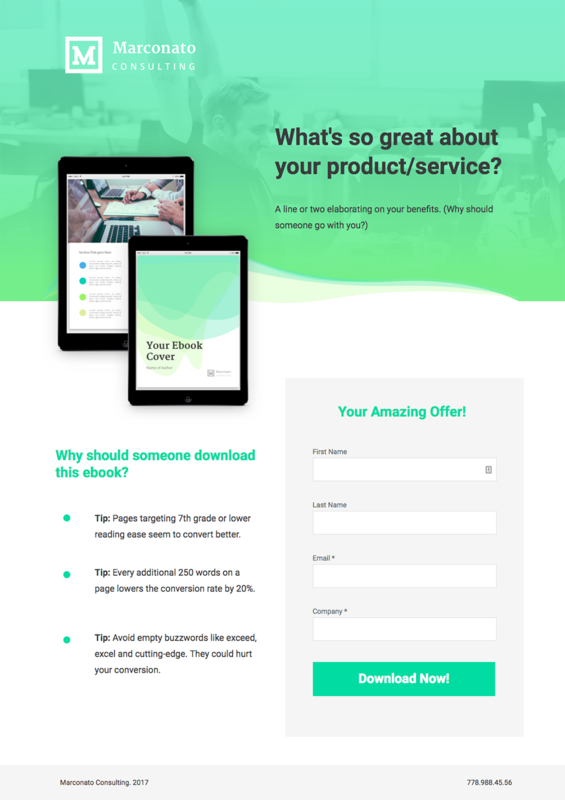 If even just 1% of page copy subconsciously reminds your visitors of feelings of anger or fear, you could be seeing up to 25% lower conversion rates. No one wants to be angry on their vacation! This chart from the Unbounce Conversion Benchmark Report shows how the percentage of copy that evokes anger is related to conversion rates for the Travel industry. 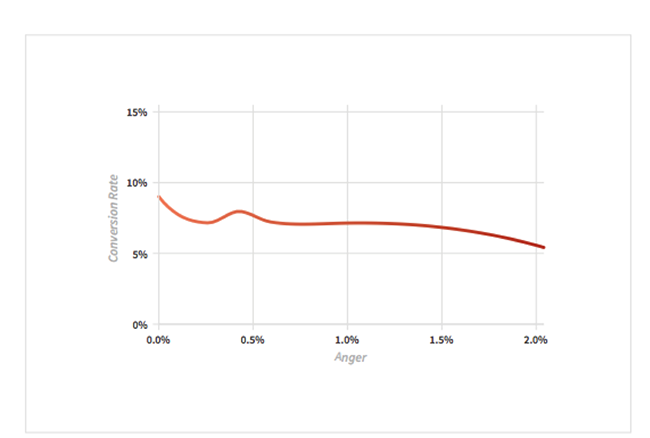 On the x-axis we have the percentage of copy that uses words related to anger — on the y-axis, conversion rate. Here’s a selection of commonly used words associated with anger in Travel, pulled from the Emotion Lexicon: limited, tree, money, hot, desert, endless, challenge, treat, fee, feeling, rail, stone, bear, buffet, lynch, bang, cash, cross, despair, shooting. Grab the Wayfaring Template here. Already a customer? Log in and get started with the template immediately. 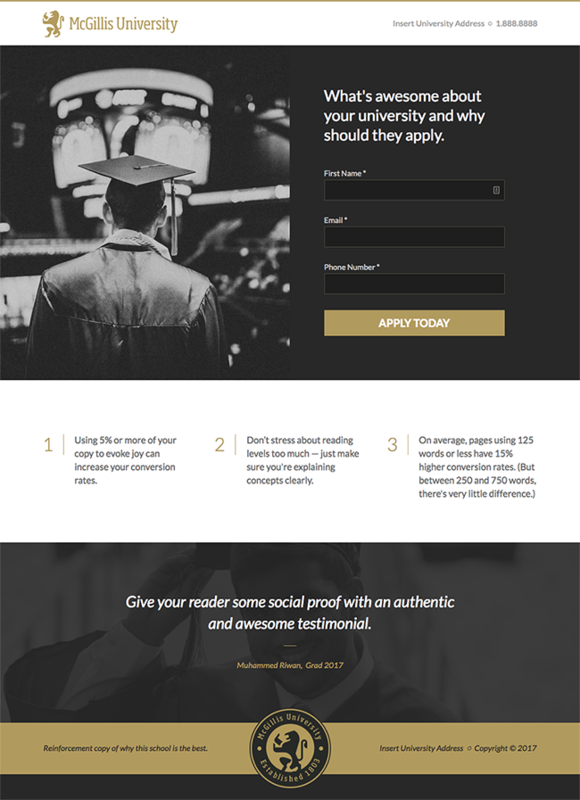 The Unbounce Conversion Benchmark Report indicates that for the Higher Education industry, the highest converting lead generation landing pages are short and sweet. Higher Education is one of the few industries where targeting college educated reading levels has similar landing page conversion rates to copy targeting 7th graders. This chart from the Unbounce Conversion Benchmark Report shows how reading ease is related to conversion rates for the Higher Education industry. 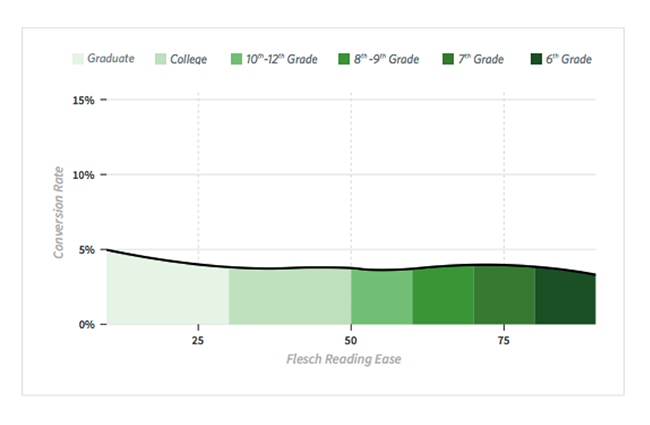 On the x-axis we have the Flesch Reading Ease scale — on the y-axis, conversion rate. At the end of the day, when you’re writing copy for your Higher University landing page, don’t stress about reading levels too much — if you are communicating complicated concepts to a highly educated audience, it’s okay to use big words. Grab the McGillis University Template here. Already a customer? Log in and get started with the template immediately. There you have it, five of the 10 data-backed templates that have just been launched in the Unbounce builder. Do you belong to an industry that wasn’t covered in this post? Check out all Unbounce templates here. 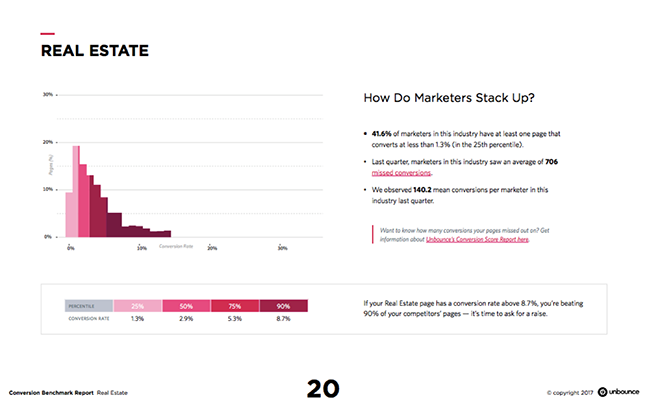 Once you’ve chosen the template you’d like to use to get started, read more data-backed copywriting tips for your industry in the Conversion Benchmark Report — and get a feel for what a “good” conversion rate is before you set that baby live! As Unbounce’s Blog Editor, Amanda Durepos curates and crafts content to help marketers be better at their jobs. When she’s not managing the editorial calendar for the Unbounce Blog, she’s wrangling internal and external subject matter experts, helping them educate other marketers in an entertaining and actionable way. You can follow her on Twitter but she’s mostly just making puns.